Baldwin 5'8" Grand Piano Click to view more! Used Yamaha Grand Piano SOLD! Samick Large Grand Piano Click for more pictures! Young Chang 6'1" Grand Piano Big Sound! 5'9" Kohler & Campbell Grand Piano Click for more pictures! Used Baldwin Upright Piano Click for more pictures! Used Boston Grand Piano Click for more! Used Yamaha Console Piano Click For More! Baldwin Console Piano Click For More! Used Kimball Baby Grand Piano SOLD ! Used Hammond C3 Organ Click Here For More! Used Kimballl Grand Piano Click for more! Used Charles Walter Console Piano click here for more! Kimball Console Piano Click Here For More! Yamaha Console Piano Click here for more! Used Baldwin Console Click here for more! Used Kohler & Campbell Piano Click for more! 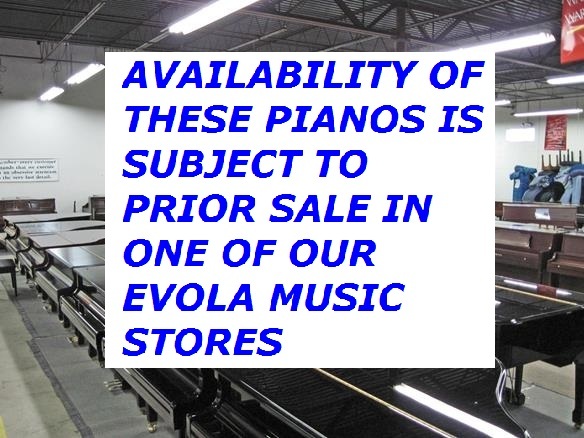 More Used Pianos Every Week! Conn Used Console Piano Click for more! Used Kawai Studio Piano SOLD ! Used Kimball Console SOLD ! Used Baldwin Studio Piano Clicke Here For More!